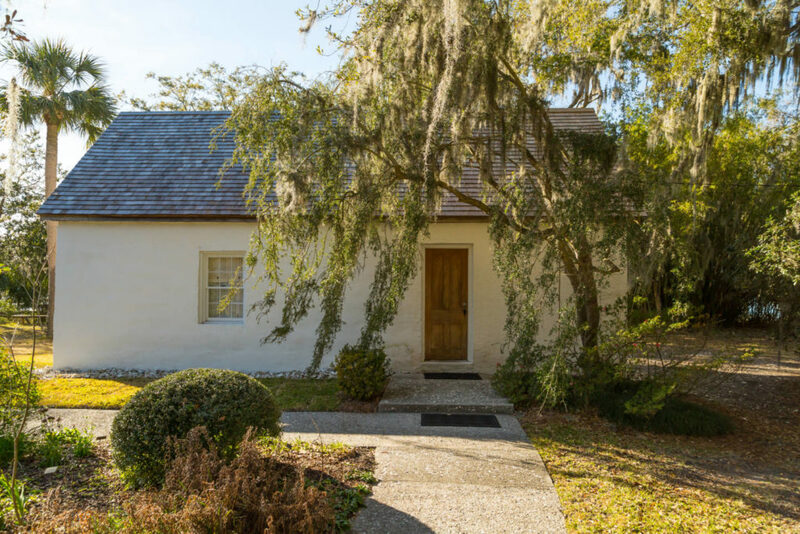 In 2014, Cassina Garden Club of St. Simons Island began restoring two tabby cabins in fulfillment of their goal to preserve and make available for tours the unique historic resources that now serve as headquarters for the club. Built in the early 1800s for slaves of Hamilton Plantation, the cabins were made of tabby and divided into two units with a central chimney and a tabby partition. Following a great deal of research, the extensive restoration now interprets one cabin as it appeared in the 1830s and one in the 1870s during the post-emancipation “Mill Days” period.